"All of our automotive technicians carry the prestigous ASE Certification, guaranteeing you the experience needed to keep your vehicle in top condition." United Automotive Service has expertise in domestic and foreign auto repair services including air conditioning service and repair, automatic transmission service and repair, California Smog Test, emissions repair and more. Striving to meet the needs of your automobile, our professional, certified auto mechanics and menu of auto repair services provide a full range of service for your car, truck or SUV's repair needs. 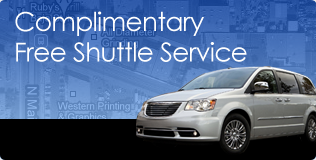 Our state of the art auto service and repair facility situated in Orange California, is equipped with sophisticated service & repair technology. Our capabilities allow us to diagnose and correct your automobile troubles and performance issues accurately and quickly. Our ASE certified technicians are well trained to diagnose and resolve any issue that you experience from a basic oil change to more complicated auto repairs. The quality of auto repair and maintenance services coupled with customer service is directly attributed to our certified technicians and our team members. We offer the latest in technology so our team can quickly diagnose issues and perform necessary automobile repairs right, the first time. AAA has been a trusted name in the automotive industry for many years. United Automotive Service is proud to be a Certified AAA Auto Repair Facility. A certified shop must meet the rigorous standards of AAA for cleanliness, proper tools, appropriate technical training, and required technician certifications. 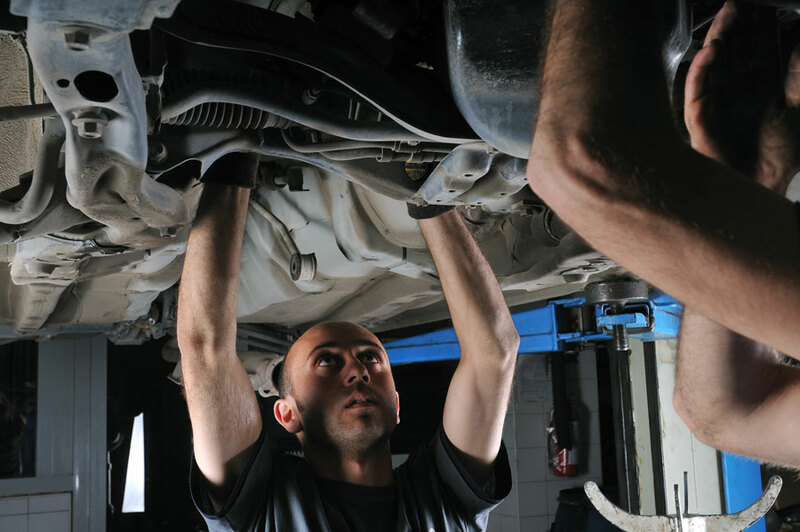 United Automotive Service is an auto repair facility that meets and maintains all of these professional standards. In addition to having an impeccable repair shop, a certified facility must have a favorable opinion rating amongst its customers. AAA performs a survey of over 100 of the shop's customers and obtains their opinions on "how well the business meets their automotive service needs." We are happy to say that we had a 100% approval rating in all five categories. 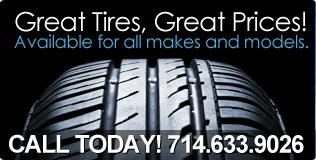 For more information on AAA Approved Auto Repair Facility please click here. Consider a Pre-Inspection Test: If you're not sure whether your vehicle will pass its Smog Check, you can ask a licensed Smog Check technician about a pre-inspection test. A pre-inspection helps diagnose any potential emissions related problems, giving you a chance to make necessary repairs before your vehicle undergoes an official Smog Check. Most manufactures recommend that you change your vehicle's oil and oil filter every 3 months or every 3,000 miles, whichever comes first. Consult your owner's manual for a Manufacturer's Scheduled Maintenance Guide for your vehicle. Your owner's manual will describe "normal" and "severe" conditions for your vehicle. A vehicle is a finely tuned machine, and as such, it requires a certain amount of preventative maintenance in order to continue to perform properly. A tune up is a regularly scheduled opportunity (usually once a year) to do all of the preventative maintenance that your vehicle needs to ensure its proper performance and to extend its life. A typical brake job includes replacing the brake linings (new disc brake pads and shoes), resurfacing the rotors and drums, adding fresh brake fluid, bleeding the system, and inspecting/replacing any worn components. If rotors or drums are worn beyond safe limits, they cannot be resurfaced and must be replaced. Leaky disc brake calipers, drum brake wheel cylinders or the master cylinder should be rebuilt or replaced. The fuel injector is a small engine component that injects fuel where it needs to go at a rate that is best suited for the vehicle. When in perfect condition, the fuel injector filters out debris that could damage the engine and then allows the filtered fuel to be used by the engine efficiently. A vehicle’s fuel efficiency and reliability depend on a properly maintained fuel injection system. There are a handful of individuals with the skill and know-how to take on this task but they seem to be a dying breed. Auto air conditioning is built in and around the engine of the vehicle, so upkeep should be handled by a professional. For instance, do you know how much refrigerant your vehicle requires for your A/C to operate effectively? Auto air conditioning service and repair cannot be undertaken by just anyone, you need the right equipment and the knowledge to undertake such a repair. In general terms, a catalytic converter is a very important part of the vehichle’s exhaust/emissions system, which is responsible for reducing the toxicity level of the discharges that come out from the engine. It takes in the harmful emissions from the engine, and turns the emissions into less harmful substances or water vapor. Catalytic converters are not installed only in automobiles, but are also incorporated in generators, forklifts and other machines which make use of engines. For smooth operation of your vehicle's transmission system, it is very necessary to change the transmission fluid on prescribed time intervals. Transmission fluid acts like a lubricant to all the moving parts in the transmission system. It is used for reducing the amount of heat levels in the transmission components. Excessive heat generation is the main reason for more wear on the transmission parts, which ultimately decreases the durability of the parts. Over time, the rubber boots of the CV joints can become cracked, torn, or otherwise compromised. Once moisture and dirt get into a CV joint and grease makes its way out, the CV joints days are numbered. Signs of impending failures are a click-click-clicking or metallic crackling noise while turning and accelerating or a clunking upon deceleration. No matter how well a tire is made, it's probably going to need a little help to spin correctly, without wobbling. Generally a mechanic does this by attaching small weights to the wheel rim; this offsets any irregularities in tire or rim construction. Balancing can be done with the wheel on or off the vehicle, but most times it's taken off. Shocks and struts control the speed of the suspension, which is important for keeping the tires in contact with the ground. So when you experience a rough ride with your vehicle, it may be time to replace the struts. Worn out struts will cause the wheels to bounce unnecessarily during regular driving or when you apply brakes. It is recommended by most of the vehicle manufacturers to get your struts replaced every 40,000 miles. Being one of the most important parts on a vehicle, radiators require proper maintenance. The radiator and the cooling system should be kept clean and cool. With time, however, solid deposits tend to build up in the radiator, which eventually clog the cooling system. In such a case, a radiator flush can help the vehicle to stay in proper working condition. When an engine needs major repairs, you are faced with an important choice: you can replace the engine with a new, remanufactured or used engine, or you can repair or rebuild the original engine. If you love your vehicle and want to keep it, we can replace or rebuild your current engine. Every vehicle is different, so give us a call to get a quote. You should never take your brakes lights for granted! Is it time to have your brake lights checked? How about your headlights? Are they dimming? Do your turn signal and running lights even work? Does your vehicle require certification? Additionally, every 60,000 miles (or 48 months), a vehicle's timing belts will need to be inspected and/or replaced. If your vehicle is due for a 30k, 60k & 90k maintenance appointment, contact United Automotive Service and schedule an appointment.